It’s true. 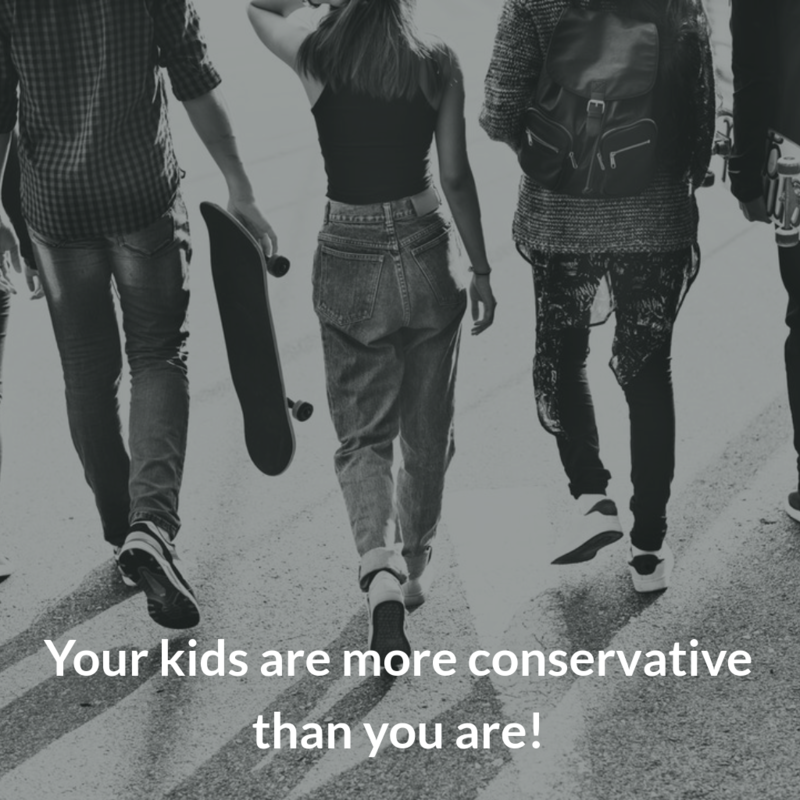 Study after study is finding that our kids are more conservative than you are. Generation Z (the generation aged 16 – 25) is shaping up to be the most conservative generation since World War 2. It’s starting to look like modern progressive politics may end up being little more than a mistake we dabbled in, destined for the historical garbage dump, right next to other crazy extremes like Communism and Nazism. Why are kids becoming conservative? I believe that progressive politics have gone too far, and are showing signs of causing irrevocable damage to our societies. The political Left has become anti-family, anti-nation, anti-worker, anti-community, anti-independence and anti-free speech. It has placed globalism, open borders, identity politics and hate-based feminism at the heart of its policies. In doing so it has trashed everything most people believe in and much of what Western society was founded on. When a biological man can enter a girl’s change room simply by saying he is a woman, and “drag kids” are celebrated for dancing for dollars in gay clubs, you know that the progressivism has lost the plot. 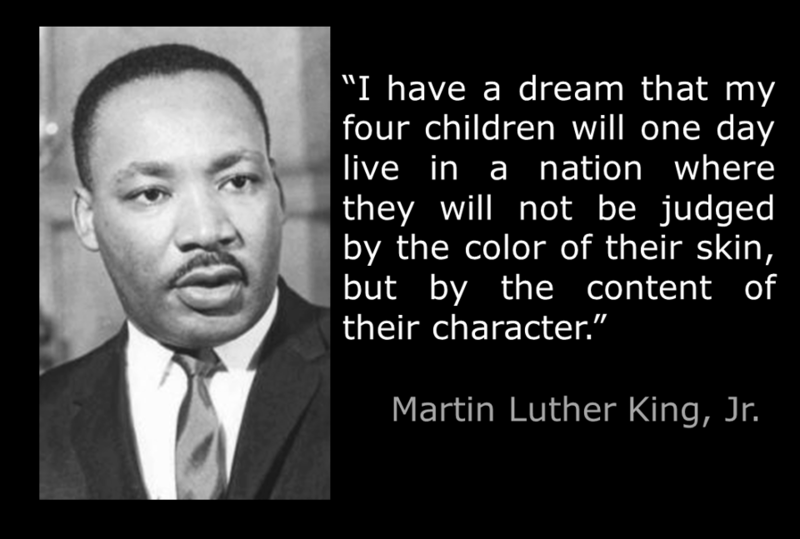 Martin Luther King Jnr would be turning in his grave about now! Kids can see all this, and their beliefs are being shaped by it. Our world is looking increasingly unstable, so of course kids value stability. Like all humans, they need and value stability, security, safety, comfort. Our politicians are fracturing traditional families, but kids can see that where traditional families remain strong, people are happier, healthier and do better overall. Kids are turning to traditional family values, beliefs and roles. They want the best for themselves, and traditional families are the most secure pathway forward to overall happiness. Rights before responsibilities doesn’t work! Progressive politics offered the “cult of the self”, and society has found it wanting. Rights before responsibilities. Better yet, no responsibilities at all! Why have kids – they’re only a burden! Much better to spend your money on partying, drinking and buying more stuff! Bearing children will ruin your figure, and your nights out will be limited. Care of foreigners, but no care for our own people. Open borders, but no thought for the consequences of open border policies on our own people or culture. Destruction of Western cultures with no heed for the consequences. Failure to listen to the genuine grievances of the local people on immigration issues. Valuing foreign and minority culture over mainstream Western culture, with no understanding or care about what was being destroyed or why. How many more candlelight vigils must we suffer through before it is socially acceptable to question all this enforced “diversity”? 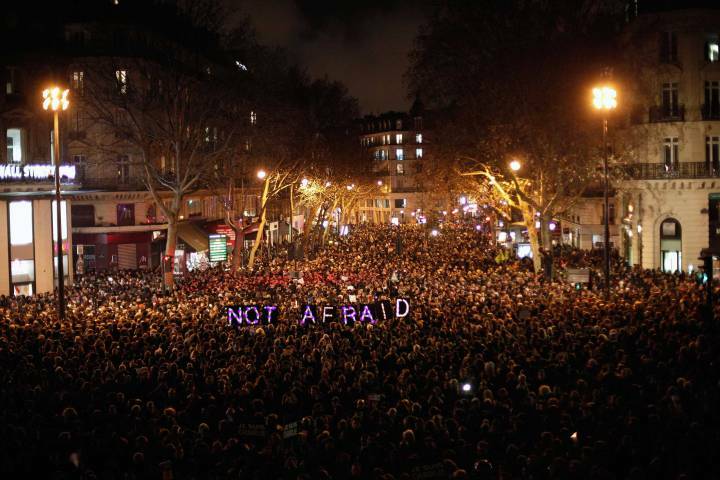 Charlie Hebdo candlelit vigil…how many more vigils must we suffer through before it is socially acceptable to question that “diversity is our strength”? You can’t force people into believing what they don’t want to believe! Political correctness is out of control, and there’s no ability to question, criticize or disagree with the progressive agenda, for fear of being labelled and shunned. In response to this insanity, of course kids are picking up responsibility and trying out the way of service and responsibility. Not surprisingly, they’re finding it works better and has better results. Responsibility must always come before rights are given. Rights are a consequence of responsibility, not the other way around. You must learn to give, before you take. Of course kids are dismissing the progressive agenda. It’s a failed agenda that undermines their society and hurts the people they love. Plus, they’re young. They want to dissent against the overbearing status quo. They want to speak and be listened to. Progressives won’t let them speak, so naturally they’re turning to conservatism where they find their ideas and their voices are welcome. Signs that Generation Z are becoming more conservative bode well for society. Our kids are not stupid – they have watched and listened and seen how progressive politics have failed, just as any of us with our eyes open have seen the same. I don’t know how this new conservatism will arise in our kids, or in what form. One thing is clear – it will not be exactly like anything that has gone before. History never repeats. It will take unexpected twists and turns, and we may find ourselves facing ancient ideas mixed in with completely revolutionary ones. Most likely we will see a mix of ideas spanning across the political compass, from left to right and a mix of authoritarian and anarchic. Above all, it is very clear to me that it is the responsibility of older generations to guide our kids, to teach them well, to place our values at the heart of politics. If we put families and our countries and our cultures first, we’ll lead them well. And – for the first time in a long time – the future will start to look bright again.